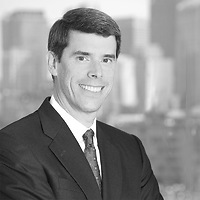 David Ferrera, a partner in Nutter’s Litigation Department and chair of the firm’s Product Liability practice group, was named Vice Chair of CLE – Annual Meeting for the Drug, Device and Biotechnology Committee of the International Association of Defense Counsel (IADC). This Committee serves as an educational and networking resource for in-house counsel employed by pharmaceutical, medical device, and biotech manufacturers and the outside counsel who serve those companies. The IADC has been serving a distinguished membership of corporate defense attorneys since 1920. Its activities benefit the approximately 2,500 invitation-only, peer-reviewed members and their clients, as well as the civil justice system and the legal profession.